Well, I have recently added some lovely dome umbrellas for children in ladybird and butterfly designs. I carefully weighed them and calculated postage, and did all my stuff to get them on the site. Today I was very happy to have sold my first one. I had fun with the brown paper getting it all wrapped up, thinking of the postie delivering it, knowing straight away what it is. It’s like those cartoons where every gift wrapped up looks just like its actual shape and there’s no mystery! Anyway, I get to the Post Office with my parcels (including another strangely shaped one – a push-along ladybird toy, also involving a long stick), and hand it over happily. It’s only then I realise I’ve put the postage on wrong – durrrrr. An umbrella, even a child’s umbrella, is too long to be a package! Oh no, it is a standard parcel, and as such costs £2 more!!! Lucky first recipent of the brolly – you got a bargain there. Now all is sorted on the site and it won’t be happening again. You live and learn! We have so many gorgeous products that I am so excited about, but today I received these gorgeous hide-away bunny puppets and I have to admit I did feel a bit sad that I have to sell them! 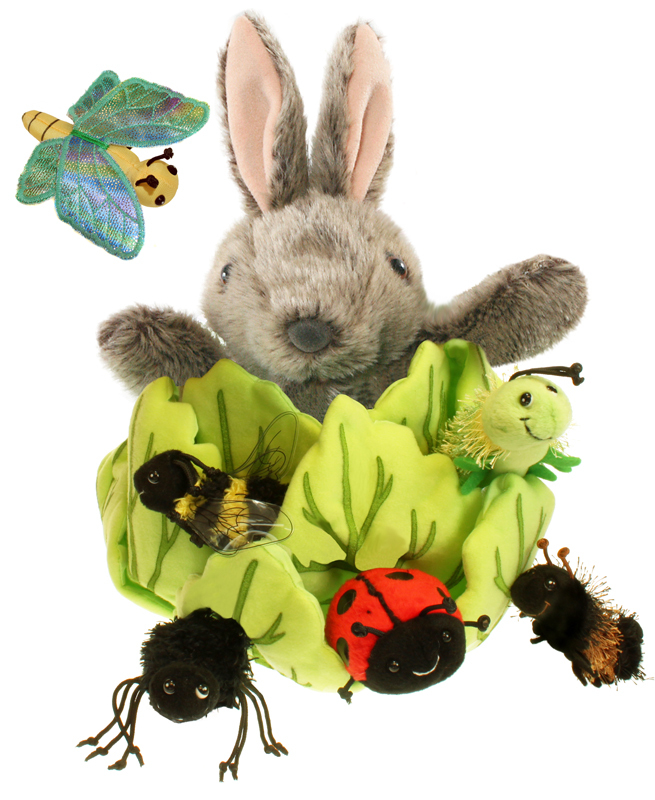 The bunny hides in a lettuce, in which are hidden 6 mini-beast finger puppet friends (one of them is the fluffy bee already mentioned) . They hide in the folds of the leaves and the bunny can be hidden inside too, then can pop up out of his lettuce. 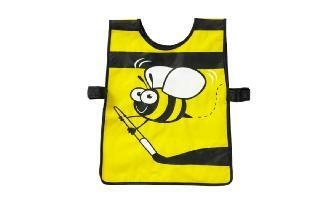 This is such a wonderful gift for anyone – just think of the role-play fun children will have with this! I am going to have to keep it hidden from my two unfortunately! Anyway, I could go on. I really love shopping at this time of year, and now I have an excuse to buy so many fab things, I am in heaven! 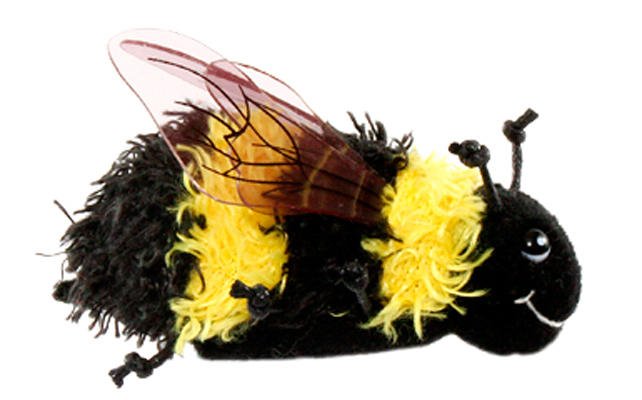 Here’s our fluffy bee finger puppet with the smiley face! He went out of stock briefly, but is back now, so take a look. He has been very popular.